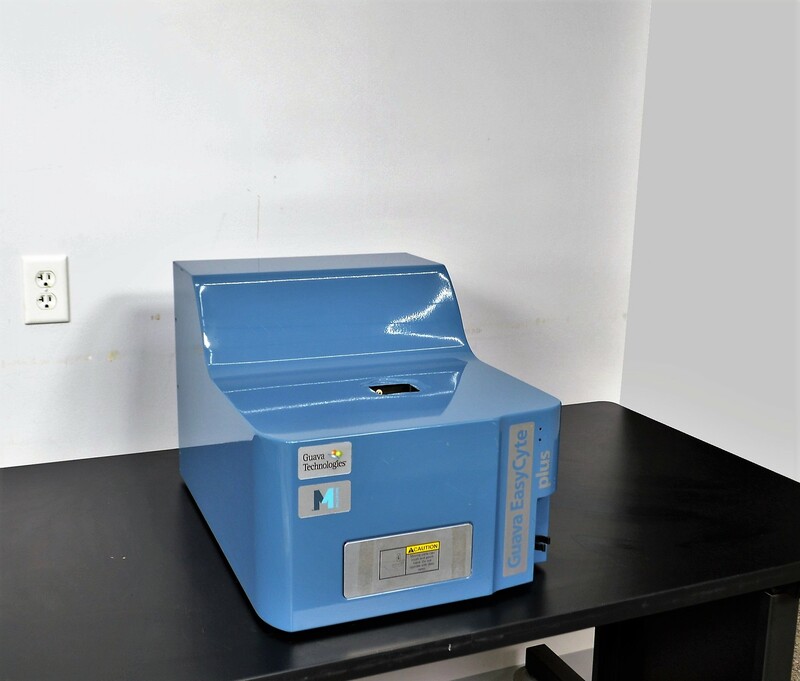 Millipore Guava EasyCyte Plus Flow Cytometer Analytical Cell Counter (Parts) . New Life Scientific, Inc. The technicians were able to move fluids and get the laser to light, but unable to record any bead solution readings. This product may have been damaged in shipping which jostled the internal components, causing misalignment of sensors and detectors. The technicians were unable to troubleshoot this error with the time and resources available. There are no accessories, cords, or flow cell included because this instrument is for parts only. This instrument is in good cosmetic condition, but it is dysfunctional and does not included any accessories or flow cell. The product will be sold for parts / repair only and does not include a warranty.